The first of two new Mods is the Lenovo Vital, a health tracker that can measure five vital medical signs: heart rate, respiratory rate, Pluse Ox, core body temperature, and blood pressure. It does so using just your finger, which is pretty neat. The other new Mod comes from the design challenge launched towards the end of 2016 in partnership with Indiegogo. 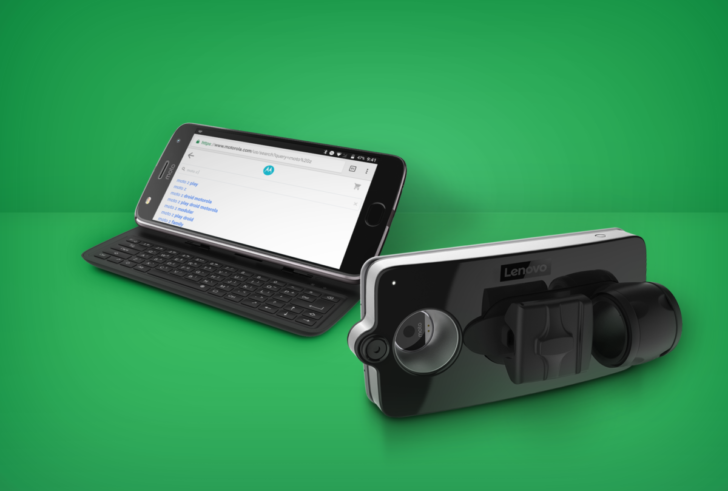 The result is the Livermorium Slider Keyboard, which is pretty self-explanatory. This year, Motorola is running the same 'Transform the smartphone challenge' in search of the next great Moto Mod. You have until February 6th to submit your idea, and a select few will receive a Moto Z plus a Moto Mod development kit before working with Indiegogo to get funding for your creation. If you end up being successful you could be flown out to Chicago to meet the "moto mods executive development team" – how exciting. For more information about Moto Mods you could download the Moto Z Market app from the Play Store, but judging by the 2-star rating you might be better off avoiding it. The Lenovo Vital Mod will be released in April and will set you back a cool $395, but the Livermorium Slider Keyboard will be out sooner for a more palatable $99.